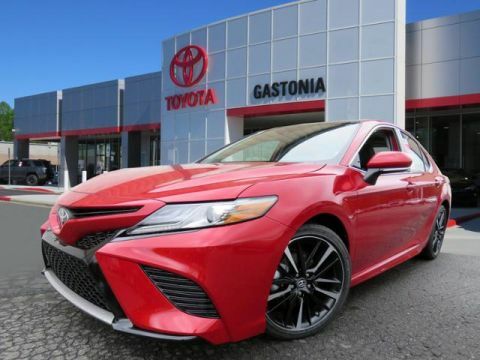 There are many reasons drivers are taking a serious look at the new Toyota lineup. 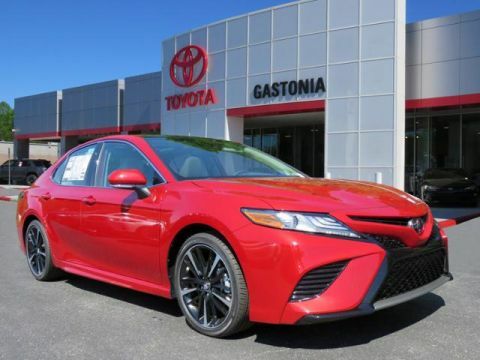 In addition to the rugged independence of models like the Toyota 4Runner and the head-turning style and performance of the all-new Toyota Camry, these vehicles are also equipped with groundbreaking automotive technology. Entune™ is a series of infotainment suites that are designed to make trips around town easier and more enjoyable for drivers and passengers alike. 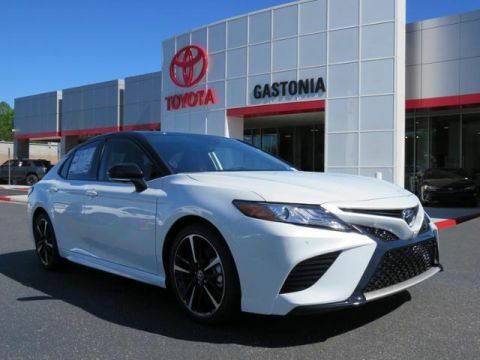 See what you can expect to find in each of these multimedia suites at our Toyota dealership in Gastonia. 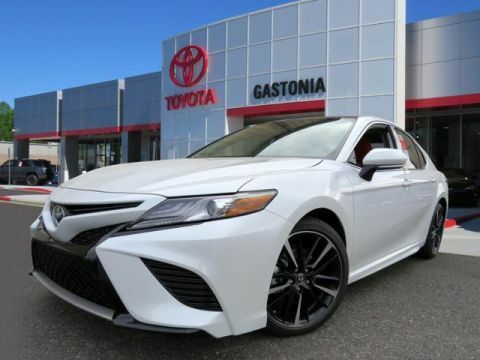 Apple CarPlay – Toyota Apple CarPlay compatibility is new for 2019, and it lets you control many iPhone apps directly from your central touchscreen display. Wi-Fi Connection – Powered by Verizon, this 4G LTE Wi-FI connection allows you to stay fully plugged in and connected while on the go. Dynamic Navigation – This premium navigation feature comes with the Entune™ 3.0 Premium Audio suite and provides you with advanced map data and points of interest. Remote Connect – This smart app allows you to monitor and manage your vehicle even when you’re away from it, allowing you to do things like lock and unlock the doors, start the engine, check vehicle diagnostics, and even locate your vehicle in case you’ve forgotten where you parked. Bluetooth® – Place phone calls and have phone conversations without ever taking your hands off the wheel, or stream your favorite MP3 playlists and podcasts right from your smartphone. Siri® Eyes Free – iPhone users will enjoy enhanced voice controls with Siri® Eyes Free, which integrates Siri® into your vehicle so that your infotainment system recognizes your voice and can respond to specific commands. SiriusXM® Satellite Radio – Offered with a free 3-month All Access trial subscription, SiriusXM® Satellite Radio lets you listen to a tremendous variety of music, talk radio, sports, news, and more! HD Radio™ – Enjoy high-definition sound when you’re listening to the radio, and get help on your way to your destination with HD Radio™ Traffic/Weather updates. Scout®GPS Link – Based on a smartphone app that’s integrated into the Entune™ multimedia screen, Scout® GPS Link provides you with intuitive turn-by-turn directions to any location around Gastonia. 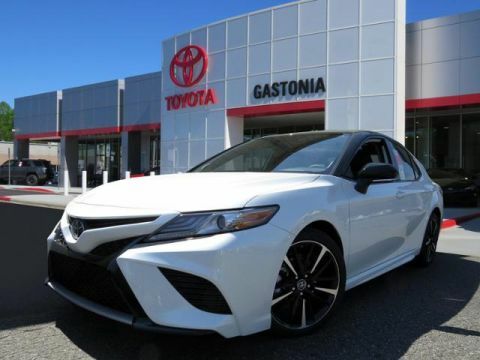 JBL® Audio – Available as part of the Entune™ Audio Plus with JBL® package on the 2017 Camry, this premium sound system utilizes GreenEdge™ Technology and Premium Surround Sound to create an audiophile’s dream inside the cabin. 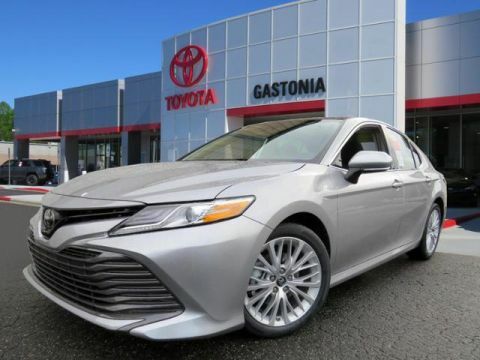 Integrated Navigation – This fully integrated, hard-drive based navigation system allows you to get turn-by-turn directions to your destination without using any of your phone’s data plan. It also comes with points of interest, home address registration, and more! Entune® App Suite – This advanced App Suite provides you with a full range of features, beginning with access to all the best apps. Discover new music with apps like Pandora® and iHeartRadio. Place a dinner reservation with OpenTable. You can also order tickets to a flick with MovieTickets.com, find a gas station and compare fuel prices, and even find a specific business or point of interest just by saying its name. 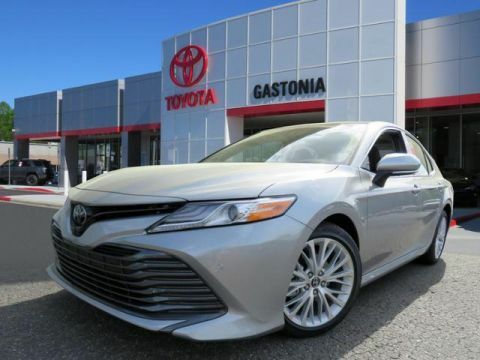 Whenever you’re ready to explore the fun and ease of Entune™, simply take the drive to Toyota of Gastonia and allow a member of our knowledgeable sales team to guide you through the many functions of these advanced infotainment systems. Contact us with questions or to schedule an appointment.